Silver-Cohen won his first four matches of 2017–18 after missing most of his first two high school seasons due to multiple injuries. Cherry Hill High School West junior RJ Silver-Cohen’s journey in wrestling has been far from conventional. Silver-Cohen picked up the sport late, first wrestling as an eighth grader at Rosa International Middle School. When he reached high school, Silver-Cohen missed the majority of his first two years due to multiple injuries. This season, Silver-Cohen is quickly emerging as a wrestler to watch in South Jersey. Wrestling at 132 pounds for the Lions, Silver-Cohen won his first four matches of the season and took first place in his weight class at the season-opening Garden State Classic tournament at Franklin High School. Silver-Cohen may not even be a wrestler if it weren’t for his friend and Cherry Hill West teammate Xavier Barker. Silver-Cohen was considering taking up a sport in eighth grade and originally wanted to try out for Rosa’s basketball team. However, Barker, who was on Rosa’s wrestling team, convinced Silver-Cohen to give wrestling a try instead. Because he picked up the sport so late, Silver-Cohen wanted to gain extra experience prior to high school. 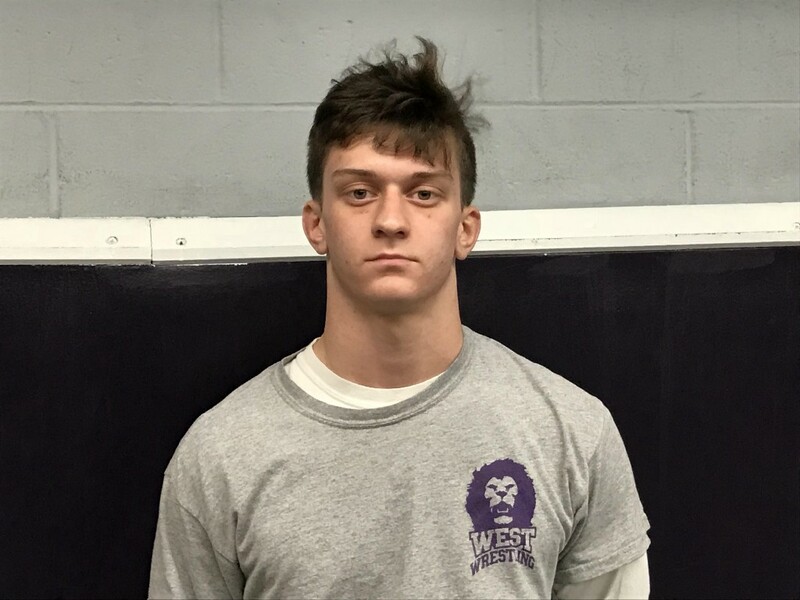 He joined Westside Wrestling in Cherry Hill, where he learned a lot of the skills he needed to prepare for the high school level. Silver-Cohen came out strong his first year at Cherry Hill West. He won his preseason wrestle-off to earn a starting spot for the Lions as a freshman. However, his season ended early during a dual meet against Paul VI High School. “I fell backward and ended up tearing a ligament in my hand where I couldn’t move my arm,” Silver-Cohen said. The injury ended Silver-Cohen’s season and prevented him from being on the mat when Cherry Hill West won the District 27 team championship. “Knowing when that season gets put up in history, I won’t be a part of that, it was always something that stood with me,” he said. Last year, Silver-Cohen’s season was again cut short as he suffered a concussion against Paul VI. Silver-Cohen admitted he was frustrated after losing most of his first seasons due to injury, but he was able to channel the frustration and motivate himself to come out strong in 2017–18. Cherry Hill West participated in the Garden State Cup to open the 2017–18 season. Silver-Cohen was one of four Lions to finish in first place in their respective weight class. Silver-Cohen recorded pins in the first two rounds and then defeated Dean Smith of Cranford High School to finish in first place. On Dec. 20, in the Lions first dual meet against Winslow Township High School, Silver-Cohen won again, recording his third pin of the year and improving his record to 4–0. Entering the season, Silver-Cohen’s career high school record was just 12–10. Silver-Cohen credits his fast start to the season to a new surge of confidence he has on the mat. Head coach Zach Semar said he has been impressed with Silver-Cohen’s work ethic and his ability to adapt to any situation on the mat. Silver-Cohen said the first-place finish at the Garden State Cup gave him some momentum. Semar said Silver-Cohen will be an integral piece for the Lions this season. “He’s going to be one of the guys we count on as we’re going down the stretch this season,” Semar said. Silver-Cohen believes the sky is the limit in 2017–18. He believes he has the talent to make it to states and finish in the top eight there.